The battle for tablet dominance between giants such as Microsoft, Apple and Samsung has served to provide consumers with an ever-evolving host of smart devices to choose from. 2014 seems to be the year of the 8-inch tablet. 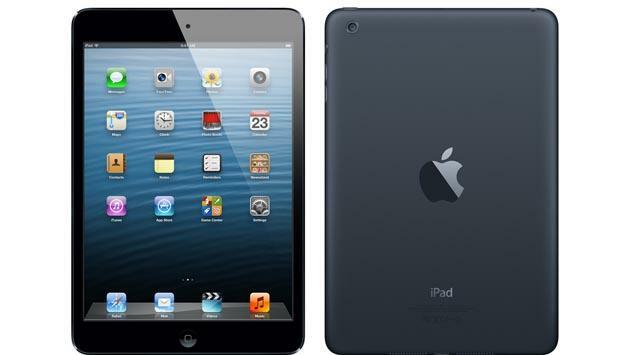 Although there is still a market for larger tablets, the trend is heading in the direction of the iPad mini. However, there are still some impressive tablets on the market that have 10-inch screens or larger. The Microsoft Surface Pro and iPad Air are stellar examples. 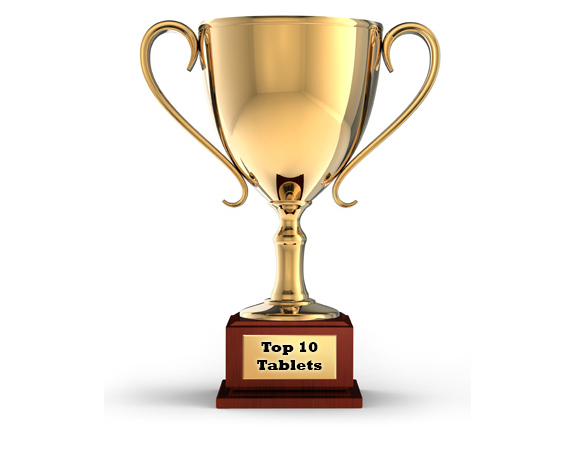 While you whet your appetite on this year’s offerings, it’s hard not to look even farther ahead to later models of these amazing tablet devices. The Amazon Kindle has faced an uphill battle in proving that it’s more than just a reading tablet. 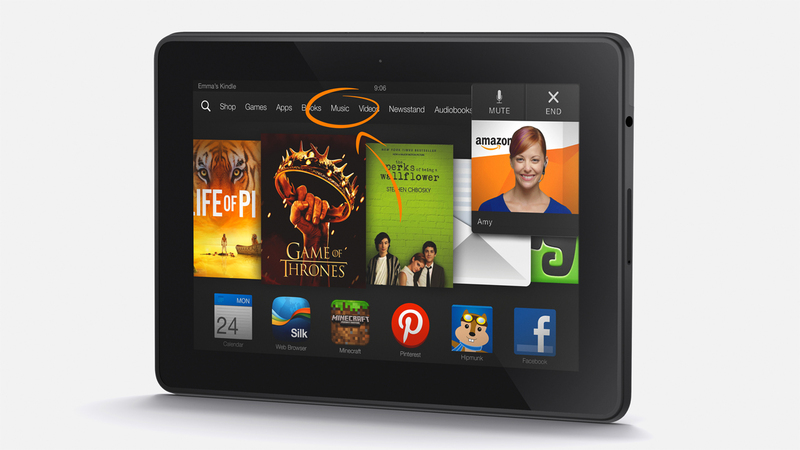 The Kindle Fire HDX 7 is Amazon’s answer to that problem. The HDX 7 works on the Android platform and has a quad-core processor that is blisteringly fast. The powerful hardware of the HDX 7 allows the Kindle Fire to go beyond just being a reader. It can operate third party apps and host media such as games, music and movies with ease. The HDX 7 also has a long-lasting battery life that can run all day long without charging. Perhaps the greatest value of the HDX 7 is the seven-inch LCD display. The pixel density registers at 323 ppi and the display is a whopping 1920 x 1200. For a mini-tablet, the Amazon Kindle Fire HDX 7 is versatile, bright and powerful. 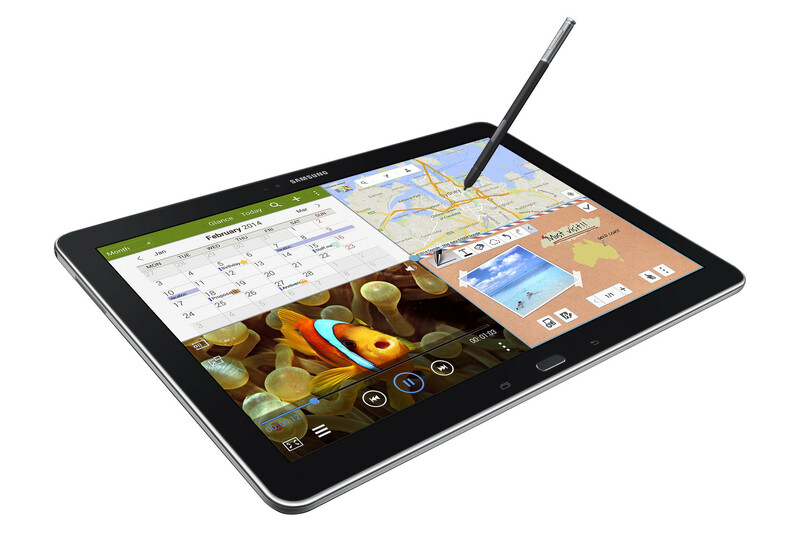 The Samsung Galaxy Note Pro 12.2 is named for its twelve-inch display screen. The Galaxy Note Pro 12.2 has a powerful Exynos 5 Octa processor, 3 gigabytes of RAM and a 32 gigabyte on-board hard drive. Partnered with the S Pen stylus, the Galaxy Note Pro is a multi-tasker’s dream machine. It can operate four applications simultaneously, making it feel more like a workplace desktop than a leisure tablet. Samsung has also packed in plenty of features for the less-productive tablet enthusiast. It’s lightweight, has two on-board HD cameras, and a 2560 x 1600 pixel display for a stunning presentation of movies and games. Critics of the Samsung Galaxy Note Pro 12.2 argue that the trend in tablets is leaning toward smaller devices. Some might even argue that the new Galaxy Note is too cumbersome and large for a tablet. However, it functions as the ideal middle-weight, dominating the market somewhere between laptops and trendy mini-tablets. As a company, Sony might be experiencing some internal fluctuations but don’t count them out of the technology sector just yet. Their new tablet, the Sony Xperia Z2 easily makes the top list for 2014. Sony has tried to make its presence felt in the mobile device market for quite some time, but finally they have a truly impressive product. For starters, the Xperia Z2 is waterproof and extremely lightweight. It’s only fifteen and a half ounces. 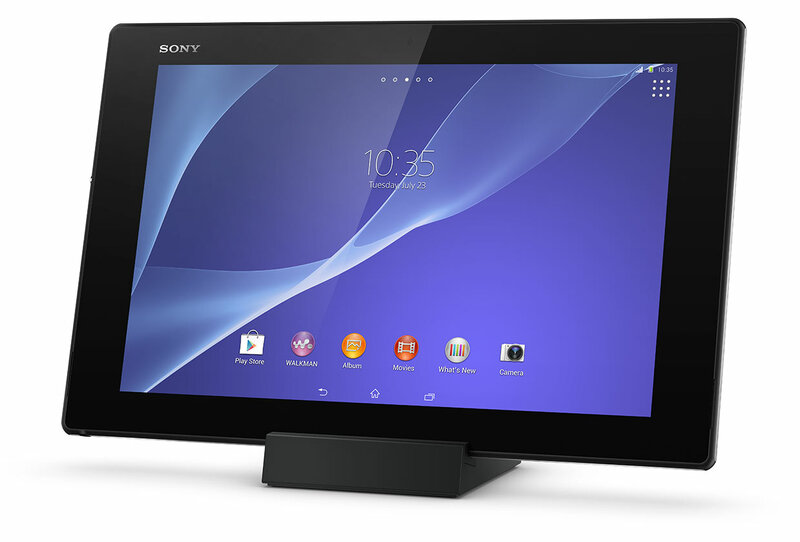 Don’t let the lightweight design fool you, the Xperia Z2 tablet is a powerhouse. Sony boasts that the Xperia Z2 is the fastest tablet on the market. It has a Qualcomm Snapdragon quad-core processor, built-in 4G modem and an updated Adreno graphics processing unit. The Z2 has digital noise cancelling technology and surround sound capabilities. It’s little wonder that the creators of the Playstation would also make a tablet that places games, music and movies front and center on its design platform. it’s large but function forward. This tablet has the capacity to take your business presentation from boring to beautiful or place your entire home entertainment system in the palm of your hand. 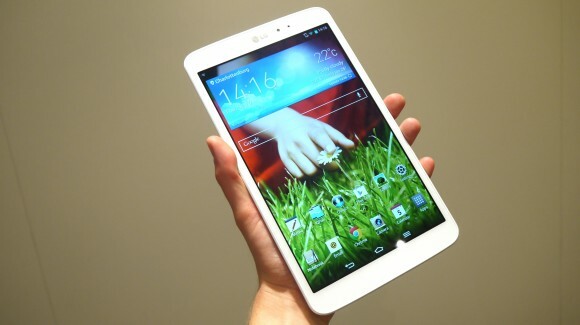 The LG G Pad 8.3 tablet works on the Android platform and utilizes the Snapdragon 600 quad-core processor chip. The G Pad can multi-task with the best of them. It features a sliding screen function called Slide Aside that allows users to run simultaneous programs in a whole new way. It also has Q Pair, which facilitates a live connection with your Android smart phone. This function doubles the connectivity of your devices by synchronizing them together. You can share media and receive messages on your G Pad so you never have to juggle between devices. Unlike most tablets, the LG G Pad 8.3 has an aluminum chassis and an 8.3 inch HD display. It’s just a subtle difference but enough to stand out from the pack. The G Pad is sleek, lightweight and wedges shoulder-to-shoulder with the iPad mini and other small tablets. The battery life of the G Pad falls short in comparison to those other small tablets but LG makes up for this by concentrating its efforts on connectivity and easy-to-use functionality. 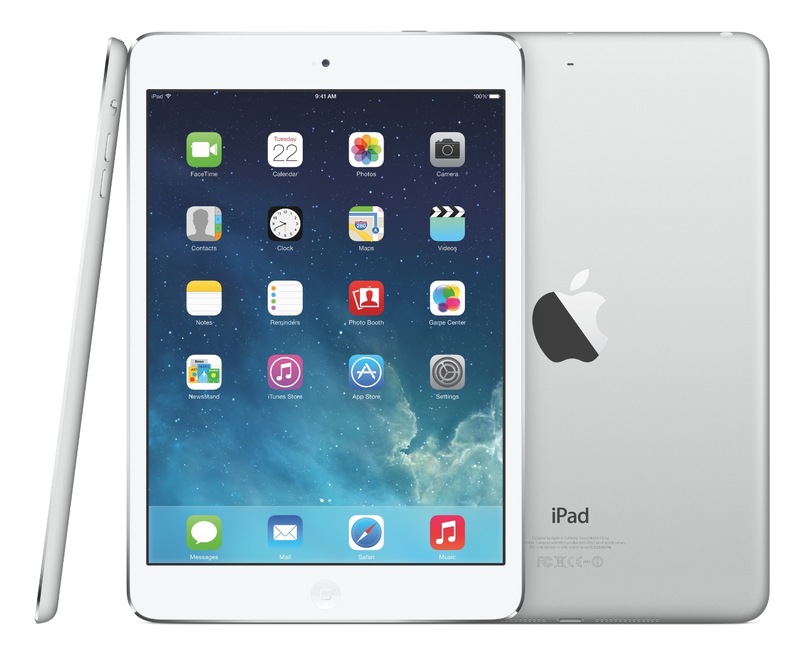 The Apple iPad mini 2 has arrived to claim its share of the budget tablet market. Although the iPad mini is not the cheapest mini tablet on the list, it still offers a comprehensive host of features at a reasonable price. The mini 2 has nearly an 8-inch Retina display that rivals any HDTV in terms of clarity and focus. The iPad mini 2 and the iPad Air both have many of the same features, but the iPad mini puts all the features of the Air right in the palm of your hand. Perhaps one of the greatest boons for Apple’s latest tablet is the sheer onslaught of useful apps that come ready-to-use. There’s FaceTime, Maps, Newsstand, iTunes, iMovies and many more. You can browse the web with Safari and the A7 processor keeps everything seamless and swift. Although the iPad mini 2 with Retina display is a small tablet, you wouldn’t know if from the price tag. The price is on the high-end of the spectrum, but you still have plenty of options to mitigate the cost. You can select coverage from any of the top four service providers: Sprint, T Mobile, Verizon and AT&T. You can also pick up the iPad mini with as little as 16 gigabytes or as much as 128 gigabytes. Truly, the only competition for the iPad mini is it’s bigger brother, the iPad Air. In 2014, Microsoft stands ready to take another swing at Apple with the Surface Pro 2. This is simply one of the most versatile tablets on the market. It’s priced at the high-end of the spectrum, but Microsoft sweetens the deal with a horde of apps, free downloads and modifications for the user. 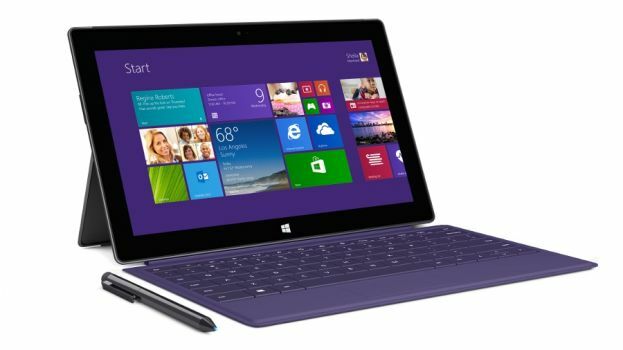 The Surface Pro 2 seeks nothing less than to replace both your smart phone and laptop by providing consumers with consolidated functionality. The Surface Pro 2 is one device for all your digital needs. Some updates from the first outing of the Surface Pro include the Windows 8 operating system, four different storage options and some subtle cosmetic enhancements. It’s got an updated kickstand to support QWERTY keyboard use, updated HD video functions, more battery life and a large 16:9 aspect ratio. It’s ideal for business-minded professionals who don’t want to seem immature for pulling out a tablet in the middle of a big meeting. The combined might of Microsoft Office and a powerful Intel Core i5 processor allow the Surface Pro 2 to take on multiple administrative tasks with ease. On the flip side, the Surface Pro 2 tablet still feels heavy when compared to other devices such as the Sony Xperia Z2 and the Lenovo Yoga 10. Another drawdown to the Surface Pro 2 is that Microsoft has already made an early announcement about the Surface Pro 3 tablet, due to launch in just a year. Seven-inch tablets seem to be the sweet spot in the 2014 technology market. Apple, Kindle and Google have all taken a stab at the top spot in this category. Google’s Nexus 7 tablet manages to take the best features from all the big three tablets and offer them to you at an affordable starting price. The Nexus 7 is slightly more expensive than the Kindle Fire HD but outperforms Amazon’s tablet in terms of speed and performance. Base units come with a 1.5 Ghz Qualcomm Snapdragon S4 processor and 2 GB of RAM. That might not seem like much, but the Nexus 7 doesn’t even try to compete with the big boys. 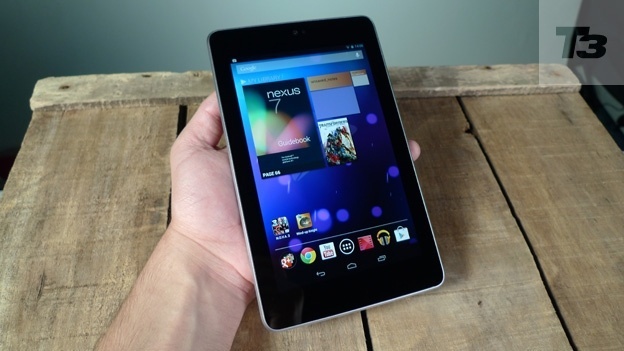 The Nexus 7 is a sleek, affordable mini tablet that puts the entire world at your fingertips. It’s powered by the Android 4.3 operating system, has nine hours of battery life and has options for upgrading to larger hard drives if you need more space. The Nexus 7 allows you to access nearly any media title with ease using the on-board Google Play app. You’ll enjoy watching movies and playing games on this tablet’s seven-inch, scratch-resistant full HD screen. It can handle the overtime workload from busy professionals, but also look stylish enough to compete with the iPad mini. Perhaps the Nexus 7 is best represented in it’s modified form with optional 4G LTE coverage and the 32 GB hard drive. With base models starting at just over two hundred dollars, the user can choose which options best suit their budget and performance needs. The iPad Air is the premiere, next level tablet for 2014 and the best offering to date from Apple. TechRadar gives the iPad Air a five-star rating for its thinner casing, impressive display and powerhouse computing. The Air is priced near the high-end range for it’s size and capability. The only other devices in it’s stratosphere are the Sony Xperia and Samsung Galaxy Note Pro. The iPad Air is the obvious choice for anyone whose focus is primarily customization, fun apps and entertainment via movies or games. It has a 10-inch Retina display and it’s so light-weight you could never call it cumbersome. In terms of performance, the Air has a super fast A7 processor chip operated on the iOS 7 system. A myriad of apps are available to suit every diversion or hobby imaginable, but the Air also has seamless functionality. It’s got built-in apps like Page, Keynote, and Numbers that will turn your office presentation into a multi-sensory experience. The iPad Air’s got decent storage space, if you want to chip in a little extra. Base models come with 16 GB but 128 gigabytes can run you anywhere from three hundred to five hundred dollars more. Apple is already struggling to control leaks about the iPad Air 2, due to be released as early as fourth quarter 2014. So, enjoy the iPad Air while you wait for it’s next manifestation.